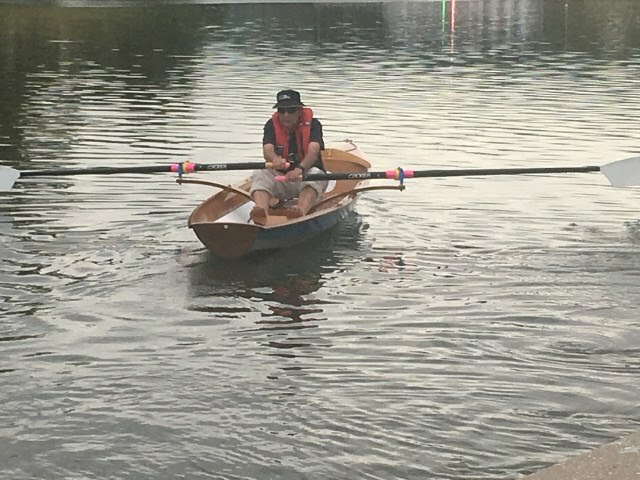 '[LBT member] Ian Moncrieff's 'Last One' an Alan Witt designed Derwent Skiff, was launched in Adelaide a couple of weeks ago. 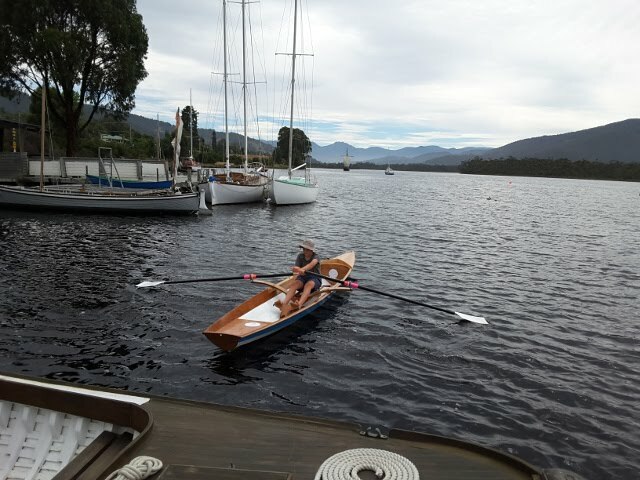 This week she was rowed for the first time on the Huon, performing beautifully as expected. 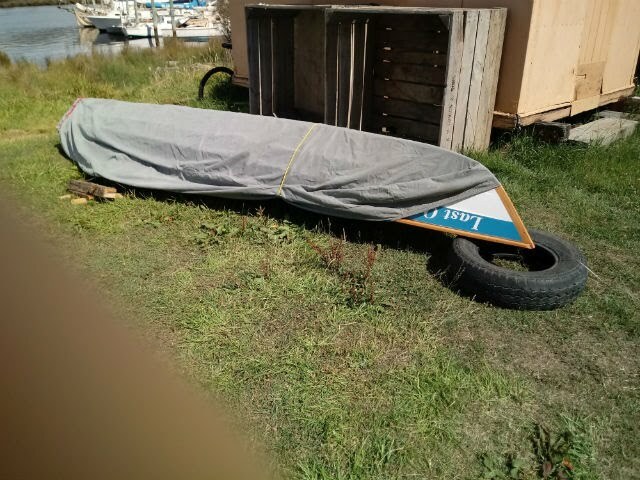 She's now tucked up like a bug in a rug on the LBT lawn, waiting for a Monday night for more of us to try her out. See pics (from Di) below.